Imagine being able to run a simple blood test that could tell you if someone has Parkinson’s disease or not. This could be a reality in as little as five years, according researchers at La Trobe University in Australia who have developed the world’s first blood test for Parkinson’s. The group of researchers believe the laboratory test will enable doctors to detect with unprecedented reliability the abnormal metabolism of blood cells in people with Parkinson’s. This means that a diagnosis could be determined earlier and without the need for a brain scan. In turn, doctors will be able to provide treatment options much earlier to the benefit of patients. Currently no clinical biomarker test exists for Parkinson’s and the only means of diagnosis is by neurological examination. By the time patients develop symptoms and undergo the exam, large numbers of vital brain cells have already been destroyed. The blood test has been trialled on a small test group of 38 people (29 with Parkinson’s and a control group of nine) with plans to use a larger sample of 100 people (70 with Parkinson’s and control of 30), once the next stage of testing is complete. 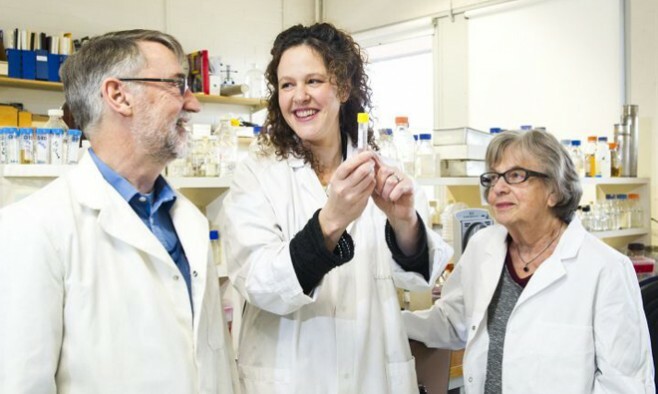 The US-based Michael J Fox Foundation for Parkinson’s Research (MJFF) and its local funding partner, the Shake It Up Australia Foundation, have granted La Trobe more than AU$640,000 to further develop the diagnostic blood test. The test could be available to the public in as little as five years if sufficient additional funds can be raised for its rapid development. “The MJFF grant will allow us to extend our study so we can discover new ways to help diagnose and monitor progression of the disease. It is even possible that the blood test could be developed to detect all types of neuro-degenerative disorders, including Alzheimer’s,” Fisher said. Diseases such as Parkinson’s and Alzheimer’s have long been believed to involve malfunction of cell mitochondria – which are the cells’ energy factories. About a decade ago, Professor Fisher’s lab discovered that a permanently switched on ‘alarm’ at the cellular level could be responsible for symptoms in many incurable conditions involving defective mitochondria. “We realised this had important implications for understanding many different forms of mitochondrial disease, as well as most major neurodegenerative disorders,” he said. Professor Fisher’s team then joined forces with Dr Danuta Loesch-Mdzewska, Dr Sarah Annesley and other collaborators to extend their studies in Dicty to cells from Parkinson’s disease patients. Professor Fisher said in people with Parkinson’s, something causes their cells to become ‘hyperactive’, which in turn increases the production of toxic oxygen by-products and over time damages vital cells in the brain. Apart from developing a definitive blood test, Professor Fisher said further work on differences in blood cells from Parkinson’s patients and healthy control groups might also open a window to the underlying mechanisms of the disease.